Interesting. And many of the theorists hit it right on the nose, but nothing could've prepared anyone for how the makers of AHS were going to spin this yarn, and I'll say this only once: genius. Wait, one more time with extra emphasis -- PURE genius. 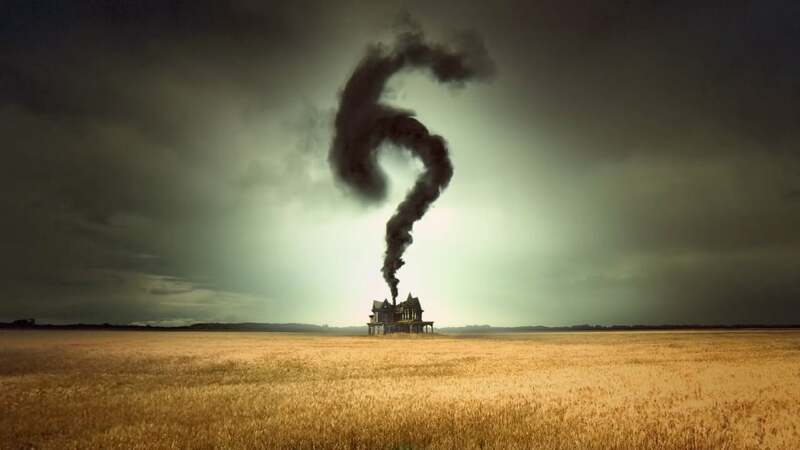 Just What Kind of Innovation Are We Talking About for American Horror Story Season 6? now, so I won't blow up many heads as it is, but just in case -- yes, I'll be spoiling a lot here. For starters, it's true: this season has something to do with a lot of the events occurring way back when in our country in a little town called Roanoke as evidenced by the subtitle of this season: "My Roanoke Nightmare." But what I was not prepared for was the fact that this season would be told not by conventional means, but by obvious mockumentary in an admittedly believable and disturbing fashion. Kudos. They took cues from what we've been seeing a lot of lately in channels like Destination America or SyFy where the horror takes a smattering of a found footage era and simply dramatically represents it with clips of real-life, real-world testimonials to help the narrative along. It's a form of storytelling with surprising effect. We see the emotions in real-time from two different perspectives -- one in retrospect, and one in real-life happening, and the merging of that is ethereal. Plus don't get me started at all with the advent that is Cuba Gooding Jr.! Nice. Anyway, the first episode set the stage so beautifully that I'm utterly in agony from watching it end, paralyzed with the need to see what happens in episode II. Talk about a slow burn. All we know is that this couple's caught in an old house in the middle of nowhere seemingly experiencing strange, yet realistic "hauntings," and there's really no other way to describe it. All the players are alluded to here, the greats (minus Jessica Lange). And their roles are so integrated that you'd never know they're really all in this story together, even though it's being presented as a real documentary. And that's the beauty of it: it's a documentary. Based on real events. But played in a fictional way. Like I Said: Genius. PURE GENIUS. I missed "American Horror Story: Hotel," season 5, sadly, although many have said it was underwhelming. However, if this is any indication of a return to form in breaking ground, I'd say AHS is literally tearing the Earth up a new a-hole.